The Lexus LC 500! — Daniel In L.A. I'm not sure how and where to start, but here goes. This. Car. Is. Hot. Did I make my point clear? 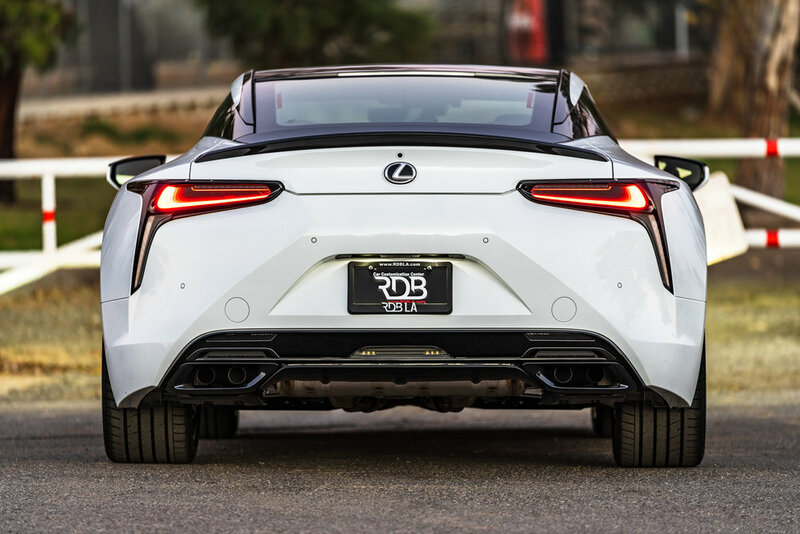 Four months into my second Lexus, The all-new LC 500 was not even something I had laid eyes on other than when I saw it at the LA Auto Show last year. Granted it was in the very limited Structural Blue Edition on the revolving podium. It was hard not to stare at it then, but I was sure that my next car was not behind the Lexus curtain. My mistake! The last time I had my eyes on a Lexus was when they were gracious enough to bless us with their ever-so-rarely seen in public LFA, the howling V10 supercar from 2012 that redlined at a glorious 9,000 rpm, even though you could technically rev it to 9,500 rpm before the fuel cutoff would kick in (tuner special). Lexus has made a habit like most manufacturers of teasing concept cars every year at different shows and rarely delivering a product that lives up to the first iteration. Well, this time around, Lexus finally proved they weren't afraid to flirt with their own talent. Such was the final product when the LC 500 finally went on sale last year. 471 horsepower from a 5-liter V8 that revs to almost 7,300 rpm and almost 400 lb-feet of torque at 4,800 rpm makes this 10-speed grand tourer a fairly fun car to drive. Design-wise, Lexus showed up. I mean, they really showed up this time. When I say this car gets more attention than any car I've ever owned, that's saying a lot. It's still so fresh on the eyes and everyone that sees it always asks what I'm driving. There aren't very many of them on the roads, so that definitely adds to the allure. The exterior is a home run, but sit inside of it, and you will really question how another car brand could top it at this price point. Fit and finish both are top notch. Ergonomically, the car is just completely dialed in. There's no feature that I feel I am missing. Apple Play and Android Auto will come soon to the 2019's I'm sure, but I play music through my Bluetooth system, so this isn't really much of an issue. Even when the car was finally delivered to me in January, I spent all of 30 minutes driving it over to RDBLA for some immediate changes that I felt would better suit the lines of the car. As it sits today, the car is more aggressive and just the right amount spicy for LA roads. It is a car that simply does what other GTs are failing to do. It is priced to where it performs, but with much more industry reliability and refinement. Even though the market segment is scaled down from where it once was, plenty of drivers who look at the usual suspects like the offerings from the Big 2 German manufacturers, and a couple of Italian offerings should add this to their cross-shopping list. There's too many positives going for this car to be completely glossed over, but we'll have to see what happens over time. For now, it is simply the best daily driver in it's class. Period. Commercial real estate broker and investor by design. Automotive and lifestyle enthusiast by choice. Healthy should be your definition of wealthy. © 2018 - Daniel In L.A. - All Rights Reserved.